Brown mustard (Brassica juncea): growing, planting, caring. The mustard used for making the famous « Moutarde de Dijon’. Brassica juncea, commonly brown mustard is a species of mustard plant. The brown mustard, Brassica juncea, is a biennial with large broad leaves, toothed, radical, green, sometimes dark red. It has a yellow or light yellow flowering, in terminal clusters that is transformed into siliques of 5 cm. Sow this mustard in the open soil, it tolerates poor or dry soils, appreciates limestone, and prefers to be sheltered from the sun. For consumption, sow a small amount regularly, in lines spaced by 20 cm, from August-September. In both cases, unpack the soil with the method that suits you, scratch it and then rake. Outside of sowing, transplanting, or intense drought, watering is useless for this plant in open soil. Water after sowing in fine mist so as not to destroy the young sprouts. 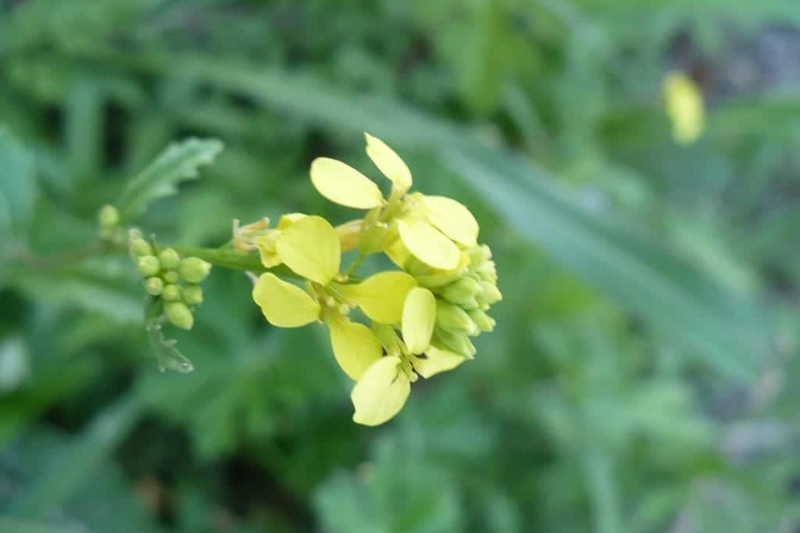 Harvest your mustard in early winter. The leaves will accompany your salads pleasantly. After the harvest, you can pull out the plants to leave room for other crops and compost the remains. Keep a few plants after flowering, if you want to recover seeds for the next sowing.